Introducing Jade Jackson-Newman – starting at Radioactive PR as a senior account director! 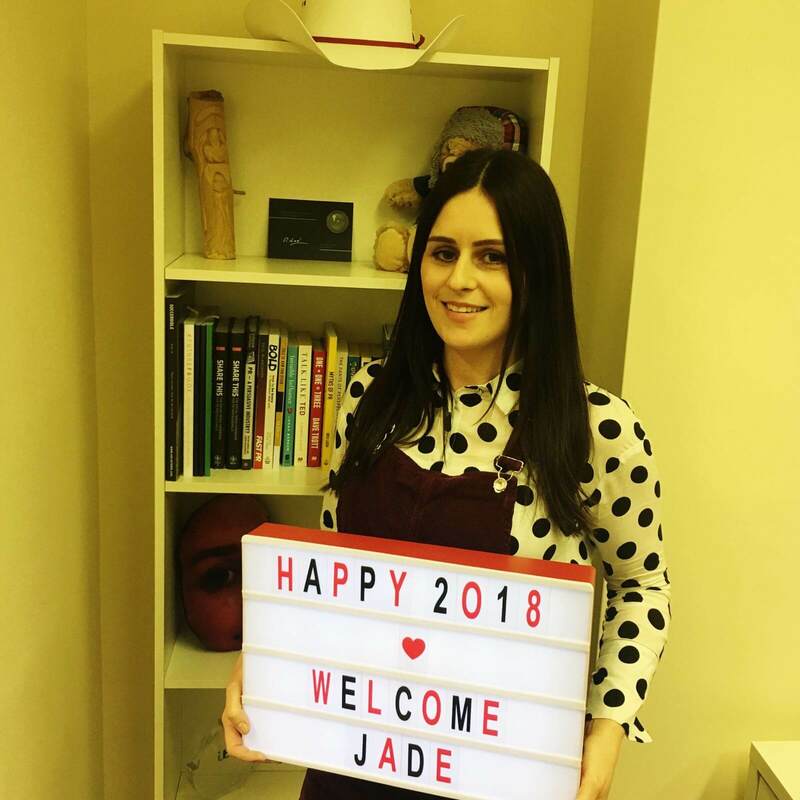 Jade brings nearly a decade’s experience to the agency, having worked with global consumer and B2B brands including Asics, Courvoisier, Continental Tyres, Converse, Mini BMW, Under Armour and many others. Did you go to uni? I took the Public Relations course at the University of Gloucestershire, which was a four-year sandwich degree with one year in industry. I graduated with a 2.1. Favourite film? I’m unsophisticated when it comes to my choice of film – though my all-time favourite has to be Dumb and Dumber, as I’m a big Jim Carrey fan. Favourite site to waste time on? I like reading some of the interesting articles on The Pool or to get inspiration from SheerLuxe. I also admit I can’t resist a browse on the MailOnline. Why PR? I’ve always loved reading and writing – even as a child I’d read a newspaper cover to cover and often write stories – and that’s why I chose PR. I love being creative, dealing with people and the variety that agency life brings. Plus my super organised streak helps in this job! Dream client? This is a very tricky question as I’ve worked with all kinds of clients and enjoyed working in all kinds of sectors. Given I’m a bit of a foodie – a chain of restaurants or a foodie personality, like Tom Kerridge – would be cool! 1) If I didn’t work in PR, I’d probably work in food – I love cooking, baking, talking about food and mostly, eating! 2) Linked to the first interesting fact, I’m good at baking. Although I’m an amateur, I think my cake, pastry and bread skills are quite impressive. 3) My claim to fame was when I was ten and in my girl pop band I wrote a song, which won a competition on the Disney Channel. The prize was to record the song and perform it on the show. And before you ask, no it’s not on YouTube – THANKFULLY! Describe yourself in a few sentences: I’m a sociable person and a good listener, which I think really helps in communications. I also like to do really interesting and creative work, so I’m excited about my role at Radioactive PR! Where can we find you online? Find me on Twitter @JadeJackNew or on LinkedIn.